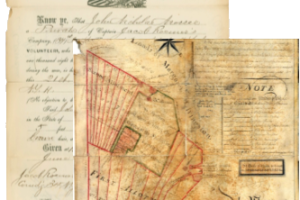 One of the primary goals of the Ulster County Clerk’s Office is to provide knowledge of and access to the various Archival Records Collection. Through a grant from the New York State Archives Local Government Records Management Improvement Fund, the County Clerk’s office is proud to present a new permanent exhibit in the Archives Gallery. The new exhibit shows a broad sampling of the archival record series that are available to the public, with the intent to increase the ability to service the public who are interested in archival records, genealogy, history, Dutch culture and more. A grand opening event in the Archives Gallery is planned for September 6 at 2:00 pm.